Competency management is critical for assessing employee performance, identifying opportunities for training and development, and cultivating talent pools. By identifying, defining and cultivating core, leadership and job specific skills or competencies, you create strong culture, foster high performance and align your workforce. 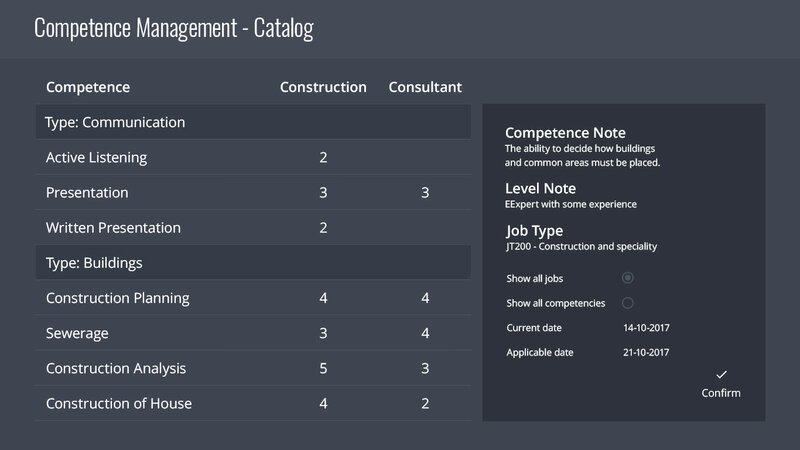 Identify employees’ strengths and weaknesses with competence Management in MindKey. A strategic tool to organize and structure the work of the organization skills. 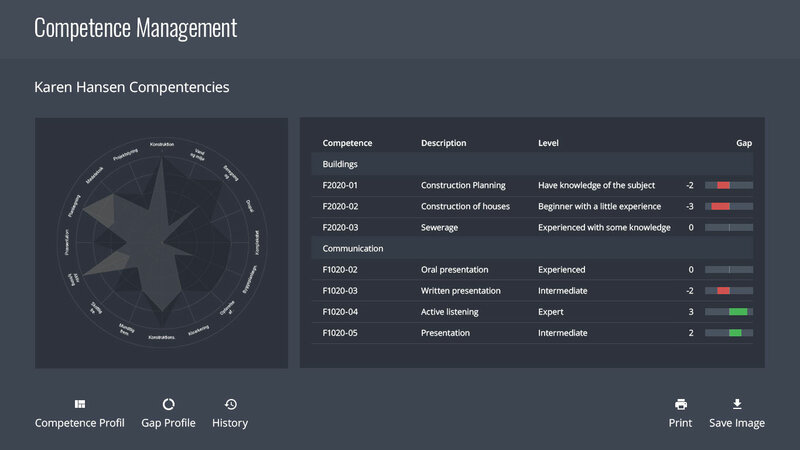 MindKey Competence Management enables you to set up and maintain your own competence catalogue with an optional use of taxonomy. 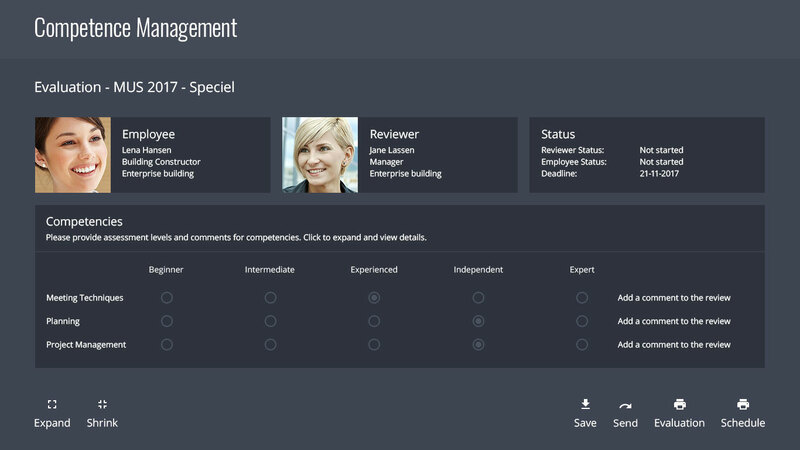 Required profiles can be set up at an individual level through jobs and at a team/organization level. Ultimately, your company’s core competencies help define and sustain your competitive advantage. MindKey lets you use different types of ratings for different competencies on the same form, so you can mix and match to suit your needs. Identify the competencies available in your organization by evaluating employees in relation to competency requirements. MindKey provides you with effective tools to evaluate your employees’ demonstration of key competencies, and put development plans in place where needed. Competence evaluation with MindKey is an integrated part of the performance appraisal function that saves previous evaluations made by managers and employees. Competence improvements are tracked so that managers can monitor development progress. Graphic skill profiles and gap profiles at all levels provide a good current overview of each employee and they provide valuable input for development- and career options or even recruitment needs. Using advanced search- and filtering options, it's simple to select the talent best suited for a position or role. Furthermore, the HR department is able to compare competence profiles to jobs, departments and teams, ensuring that the strategic and tactical competence development plans of the organization are complied with.